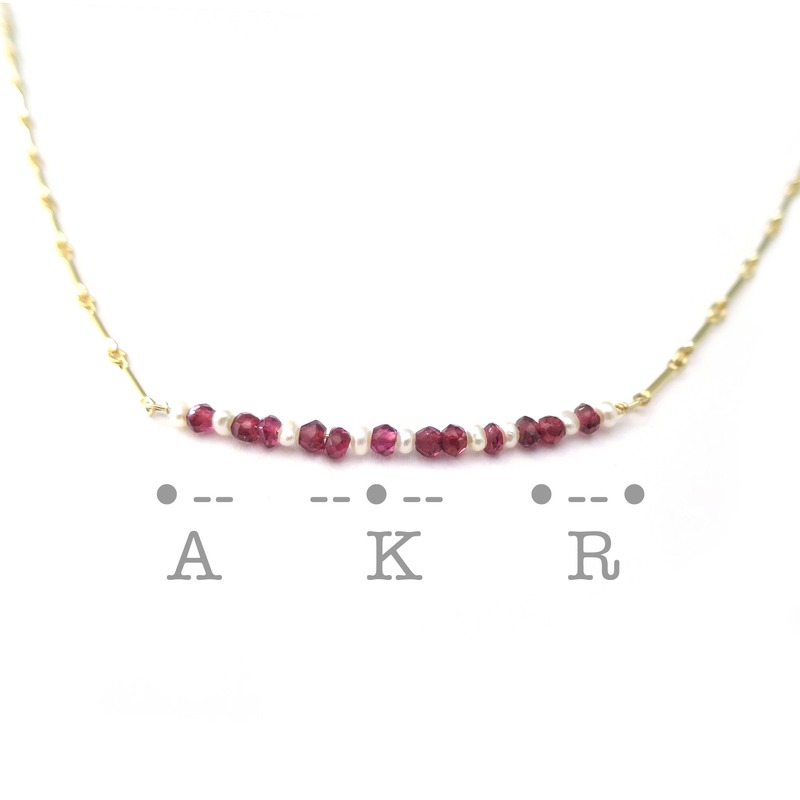 This birthstone morse code necklace is the ultimate personalized necklace and the perfect gift! 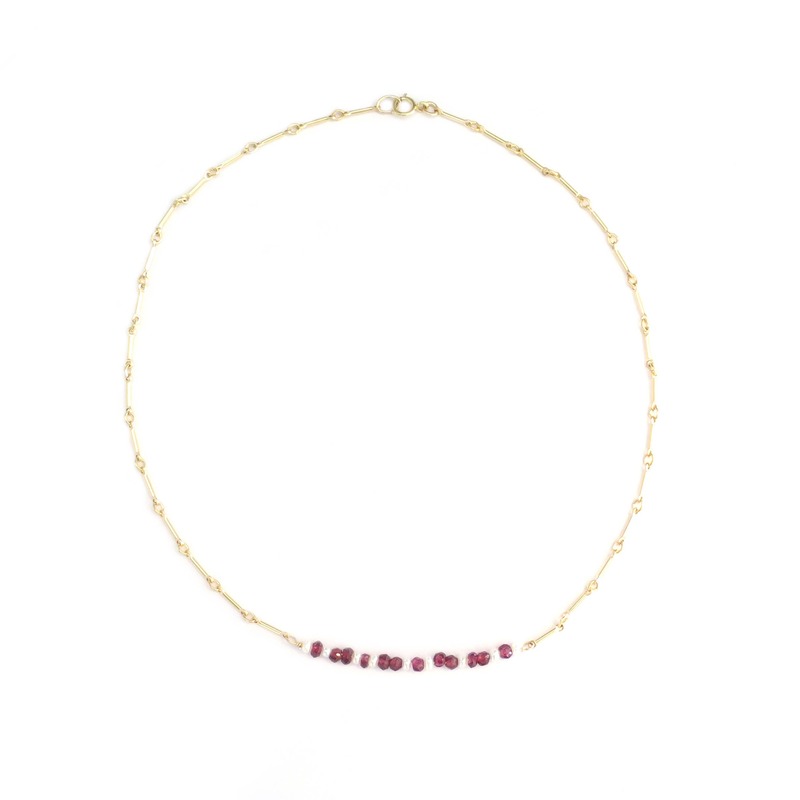 Choose your gemstone/birthstone and 1-3 initials for a spy-worthy gift that will definitely make an impression! it's in the DETAILS . . .
» The model is wearing this necklace at 14"
it's in the OPTIONS . . .
» Select your length at checkout. I recommend 14-18". 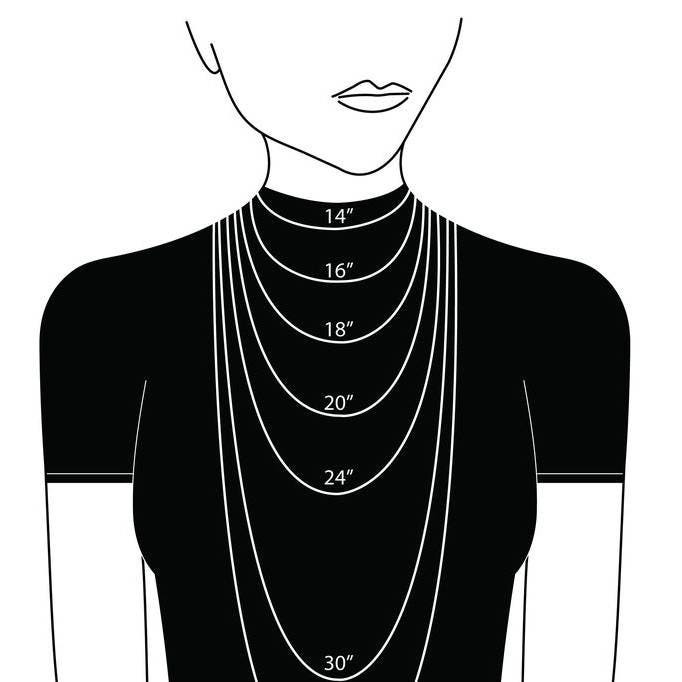 Neck sizes vary, please measure before ordering! it's in the DELIVERY . 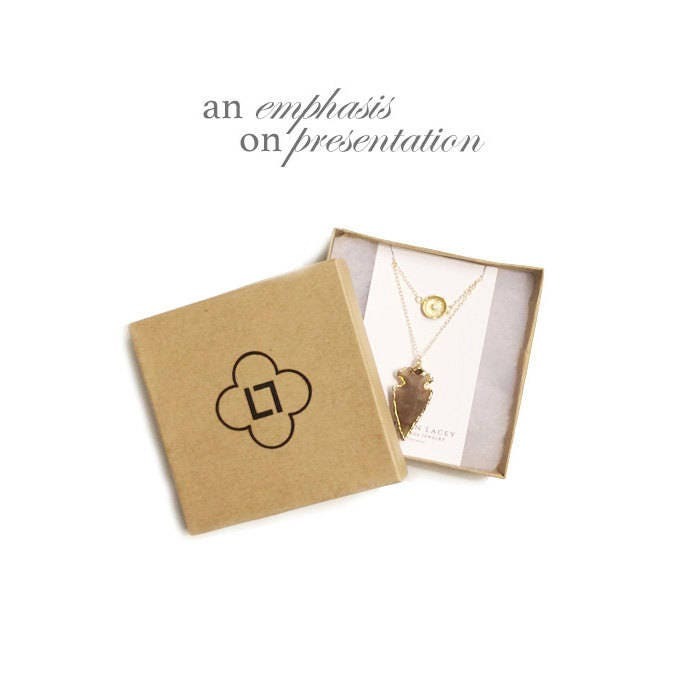 . .
All Landon Lacey Jewelry comes mailed in my signature gift box or an organza gift bag. Leave a note at checkout if you'd like a personal message included. it's in the CONNECTIONS . . .
it's in the QUALITY . . .
Gold filled components contain 100+ times more real gold than gold plated components and are very durable and tarnish resistant. 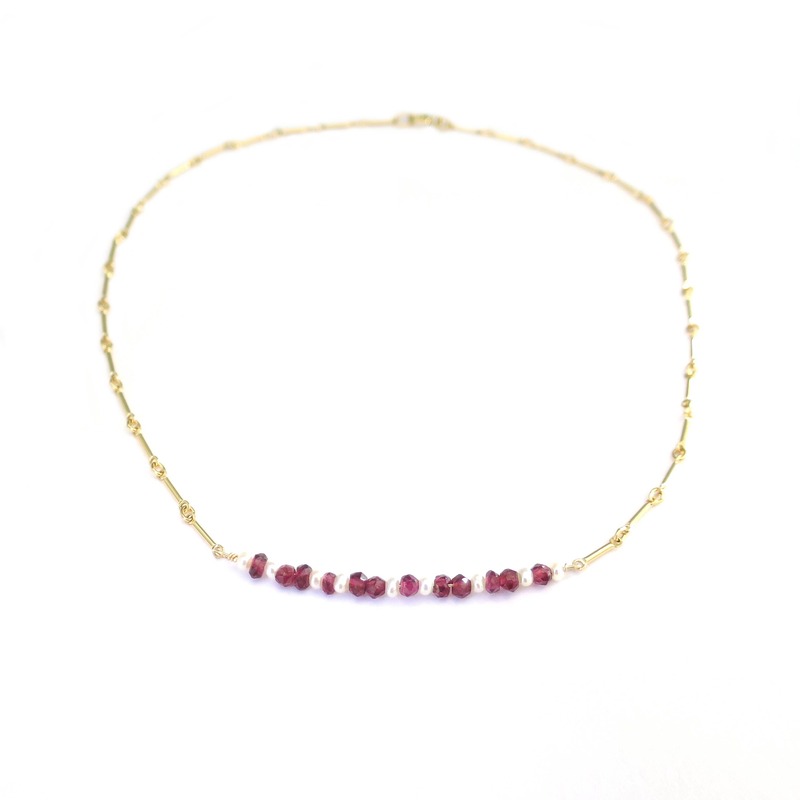 Gold filled jewelry is a beautiful, affordable alternative to solid gold, and can be worn by people with sensitive skin. I accept PayPal, major credit cards and Etsy gift cards. If, for any reason, you would like to cancel the order before receiving it, please notify me ASAP. If your order has already shipped, I will issue a refund when I receive the returned package. I ship all orders out via First Class Mail. If you need your product expedited, you are able to upgrade to Priority Mail and Priority Mail Express at checkout. ATTENTION NON-US BUYERS: certain countries, including the United Kingdom, often requires their citizens to remit a VAT (tax) on goods purchased out of the country. This is a tax that your government collects and retains, and is in no way associated with my shop. The shipping you pay my shop guarantees that your product will arrive in your country; it does not account for additional customs fees imposed by your government that you may be required to pay in order to receive your package. It is illegal for me to pay these fees for you. If you are not prepared to remit payment to retrieve your package, please do not purchase. If you choose to have the package returned rather than remitting payment to the your post office, you will receive a 75% refund minus the cost of shipping to account for labor, packaging and supplies. I recognize that this policy dissuades many UK buyers from purchasing from abroad, and it is very frustrating when you order a package and are required to pay again once you receive it. Please know that this is entirely out of my control! My priority is for you to absolutely love your piece of jewelry! If you're unhappy, I accept returns, exchanges, and modifications (i.e. length changes). If you decide to return, exchange or alter your item, please update me within 15 days of receiving your package. If you would like a modification or exchange, a shipping fee of $4 will be applied. I do everything I can to keep my costs competitive; therefore, please do not return an item that you have worn. If you do need to send an item back to me, please include its original packaging and make sure the items are well-protected. Please don't send in a paper envelope - a bubble mailer or box is best. USPS First Class shipping is a great, affordable way to send returns. In order to avoid delivery confusion, I ask that all orders are returned with tracking. Please send me the tracking number through Etsy Convos as soon as you've sent the package back to me. I am only responsible for items returned to me with tracking. As soon as I receive a returned item, I will issue a full refund minus the cost of shipping. Occasionally an item arrives damaged. This is extremely unusual but, due to the delicate nature of the jewelry, can happen. Please let me know about any damage as soon as your package arrives; it is also helpful to receive a photo of the damage. I will replace or refund your jewelry as soon as I receive the returned piece. I will also refund your return shipping up to $3 upon request. All of my pieces are small-batch. You will probably receive a piece that is different from the one in my photo, but all of my pieces are comparable in size, quality and color. Keep your semi-precious gemstone jewelry separate from hard surfaces. Many gemstones are soft and will scratch if they bump against harder stones such as diamonds. When traveling, wrap in a protective cloth. Sterling silver will naturally tarnish when exposed to oxygen. Store in a plastic bag when you're not wearing it. Use silver polish to restore luster. 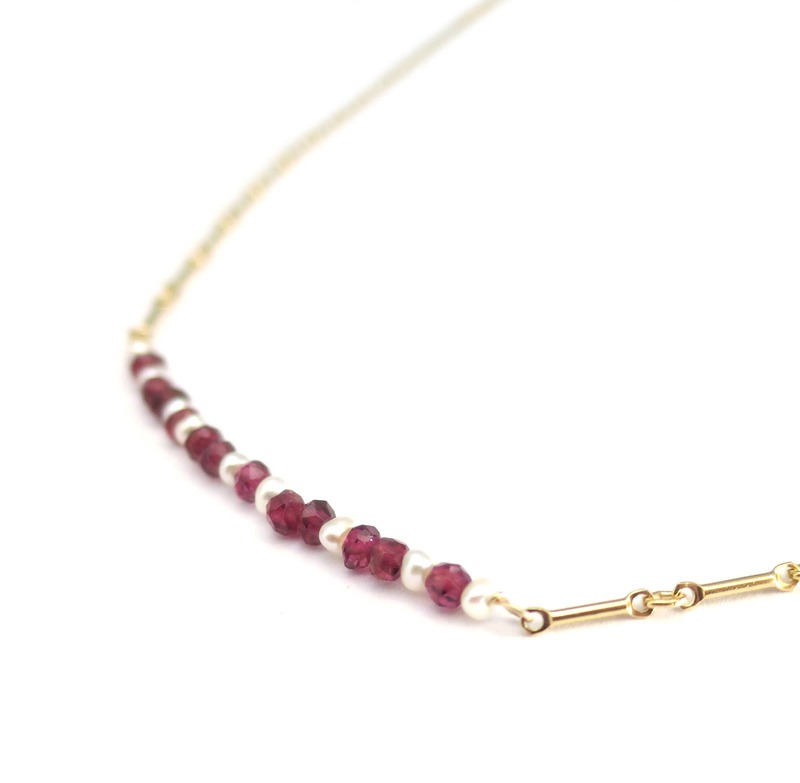 Sometimes polishing a delicate silver chain is difficult; your local jewelry may be able to better restore its shine. 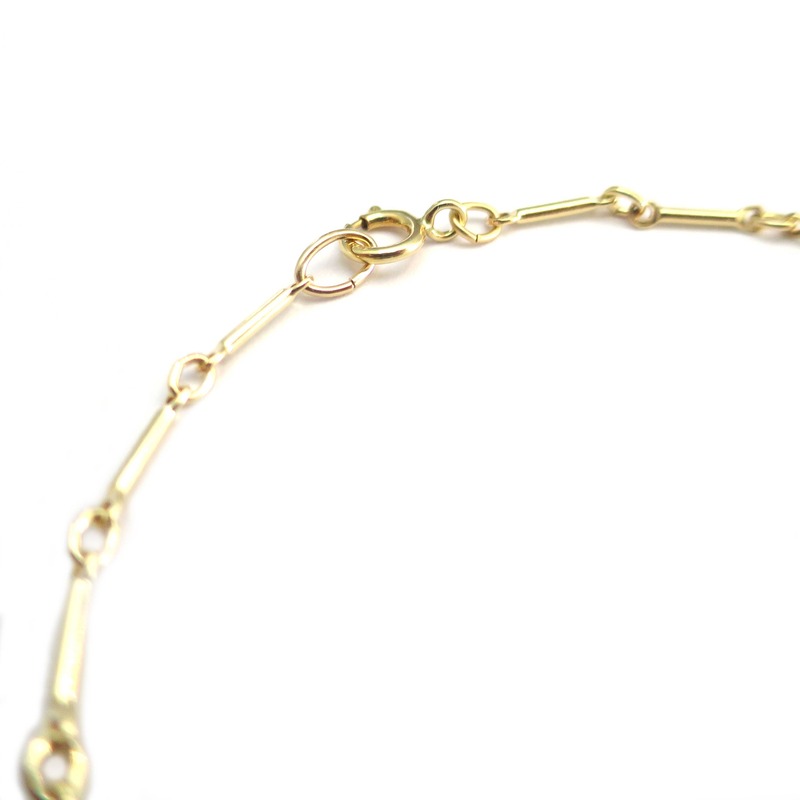 Vermeil and gold plated jewelry will retain its gold color for longer when kept from harmful chemicals, hair spray, lotions, and water. Store in a plastic bag.